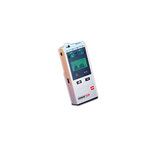 The Nellcor N-85 hand-held capnograph/pulse oximeter with OxiMax technology combines two highly advanced technologies in a convenient, portable device. Microstream Capnography helps ensure accurate end-tidal CO measurements and crisp waveforms, extensive selection of Microstream breathsampling accessories allows you to monitor intubated and nonintubated patients including those receiving supplemental oxygen. 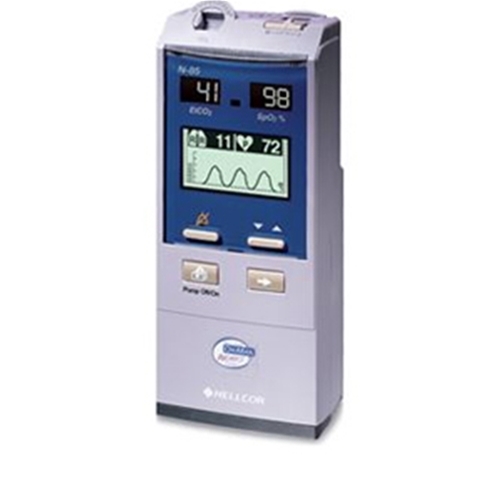 The Nellcor N-85 monitor delivers exceptional pulse oximetry performance even during low perfusion and signal interference. Nellcor specialty sensors including the forehead SpO2 sensor and nonadhesive SpO2 sensors.